Protein powder is very popular. Just typing the words 'protein powder' into google brings in over 16 million results - yikes! Protein powder is spruiked as the secret to weight loss, weight gain, defined muscles and more. There is definitely a time and place for protein powder for some people, as it can be an easy and convenient way to get extra protein in your diet if you're trying to gain weight, and can be an easy way for athletes to quickly refuel straight after a workout. If this sounds like you, look for a protein powder with a simple ingredient list, and buy in bulk if you can to help save money, or try skim milk powder which is much cheaper than protein powders. For many of us though, we don't really need the extra protein in our diet and it's just acting as extra energy which can lead to weight gain. Especially if weight loss is the goal, it is a lot more satisfying to eat real food than drinking a protein powder, and often if we are hungry after a workout, a protein shake doesn't really fill us up so we end up eating a meal or snack on top of the protein shake. In most cases it is also much cheaper to eat food with an equivalent quantity of protein than to have a protein shake, especially if we are having it as an add-on to food. Have a read of this article from the blog Dietetically Speaking, for a thorough examination of the pros and cons of protein powder. If you aren't a competitive athlete, and are looking to lose or maintain your weight, and can be prepared with real food after your workout, then in my opinion real food is always the best place to start. When we eat foods, or meals made from foods, we are getting a combination of all of the macronutrients (carbohydrates, protein and fats) along with all the antioxidants and fibre from the fruits and vegetables. This wide variety of nutrients will not only be more satisfying to eat, but will also provide our bodies with all of the good nutrition it needs to effectively recover from the workout. Milk is a great alternative to a protein shake. Here are 10 real food alternatives to protein powders, perfect for after your training session. Try scrambled eggs with tomato and baby spinach on toast for your next post workout meal. 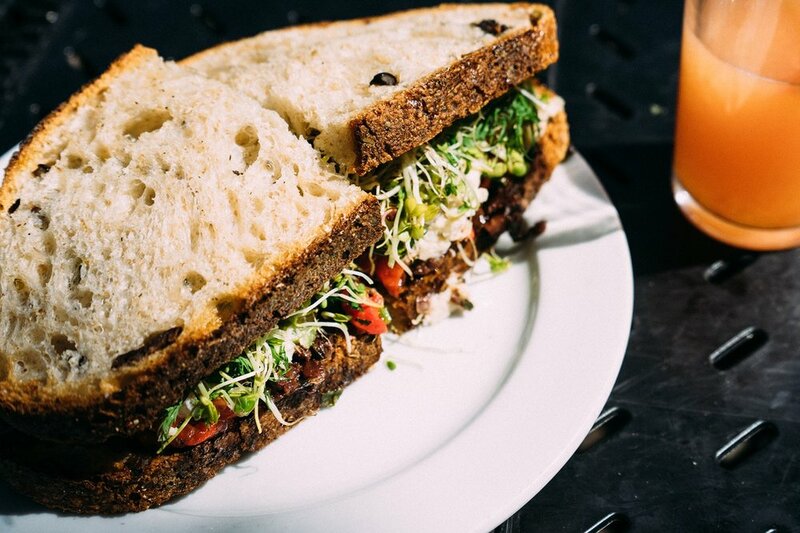 A sandwich made with grainy bread with salad and lean meat is a great lunch after a workout. A serve of protein powder generally contains 15-30g protein. How much protein you should consume post training will depend on your weight and goals. If you are exercising for fun you don't need to get caught up in the numbers, but making sure you eat something containing protein and carbohydrates will help your body recover better after training. If your exercise is quite light it's fine to just eat your regular meals as normal. If fat loss is a goal for you, it can be effective to train around meal times so you can optimise your recovery but don't need to be adding much extra food into your day. If you're looking for ideas for what to eat after a workout, have a look at this post I recently wrote.